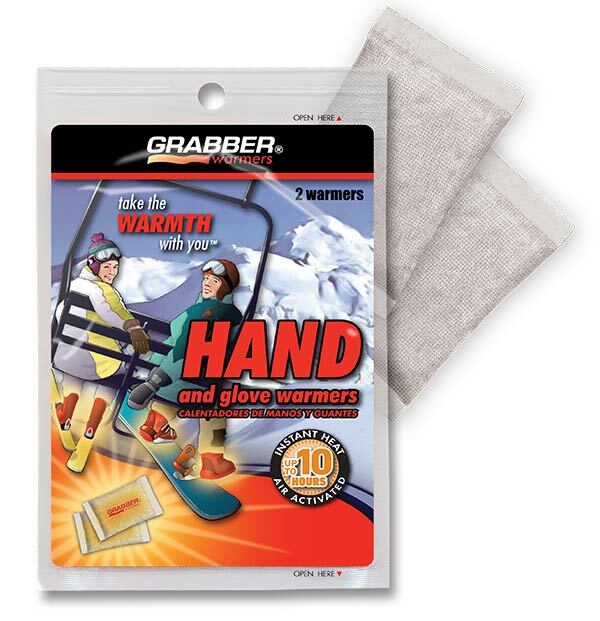 Grabber® Ski Hand Warmers are single use air-activated heat packs that provide up to 10 hours of continuous warmth for the hands. Up to 10 hours of heat! 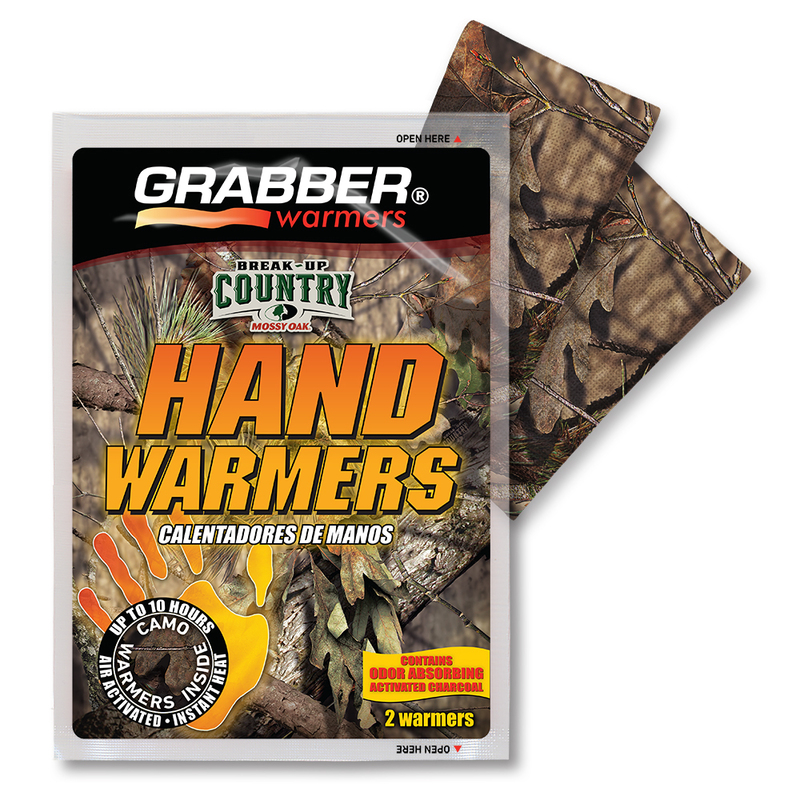 Grabber® Camo Hand Warmers are single use air activated heat packs that provide 7+ hours of continuous warmth for the hands. 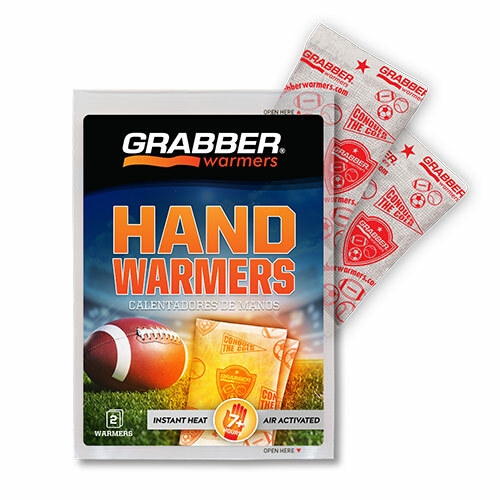 Grabber® Game Day Hand Warmers are single use air activated heat packs that provide 7+ hours of continuous warmth for the hands. 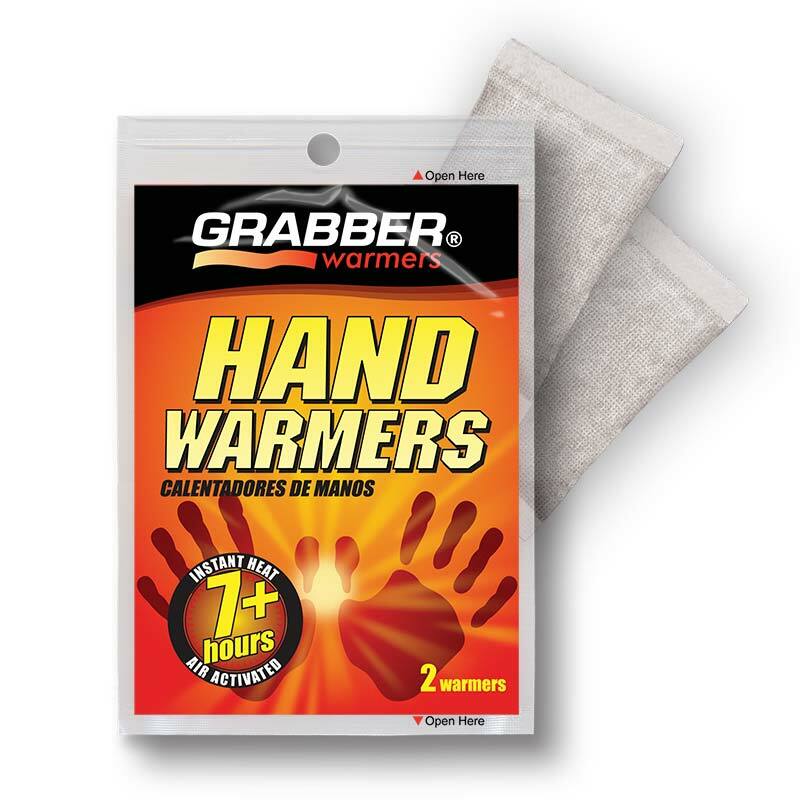 Grabber® Biodegradable Hand Warmers are designed to keep you comfortable and keep the outdoors clean. Grabber Biodegradable Warmers contain natural ingredients that are safe for the environment and made with a biodegradable fabric pouch that biodegrades in soil within two to three years. Each pair is air activated and lasts up to 10 hours. 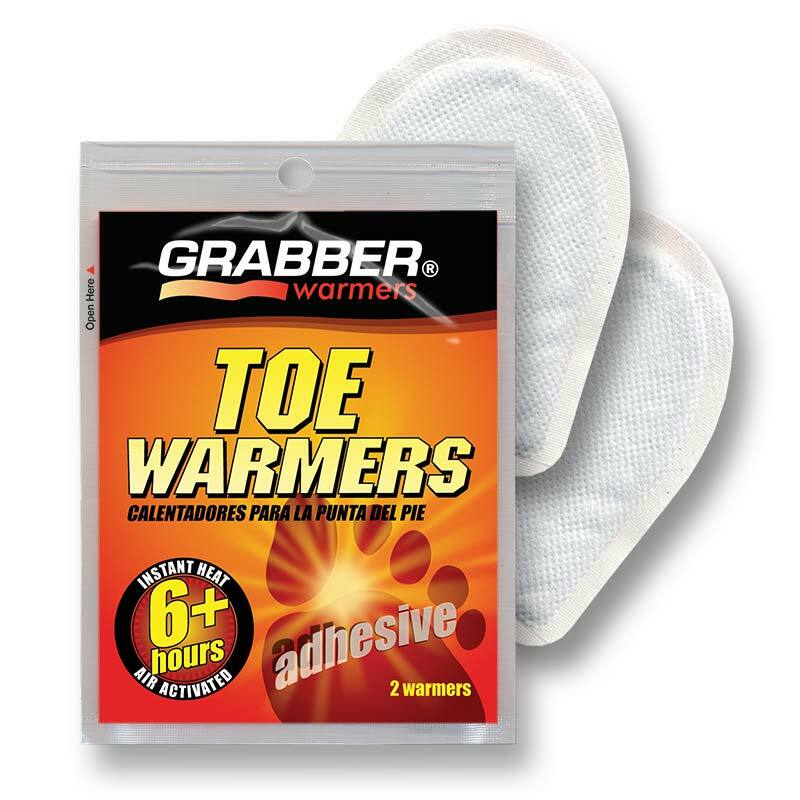 Grabber® Toe Warmers are single-use air-activated heat packs that provide 6+ hours of continuous warmth for the toes. 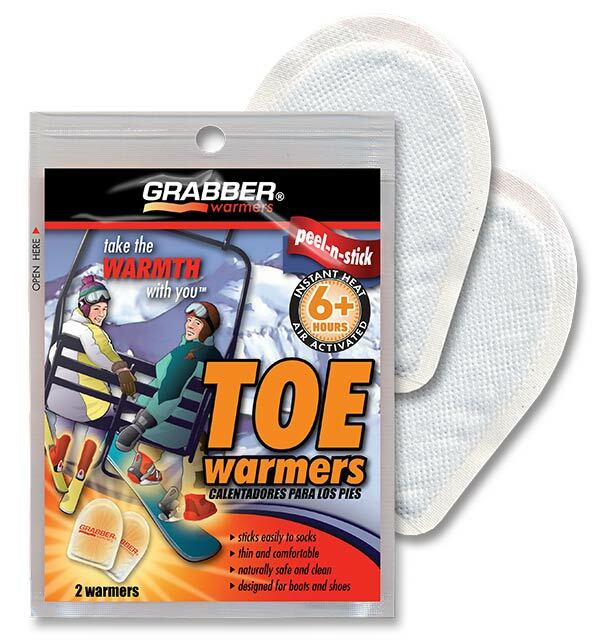 Grabber® Ski Toe Warmers are single use air-activated heat packs that provide 6+ hours of continuous warmth for the toes. Grabber® Foot Warmers are single-use air-activated heat packs that provide 5+ hours of continuous warmth for the feet. Available in Small/Medium and Medium/Large sizes. 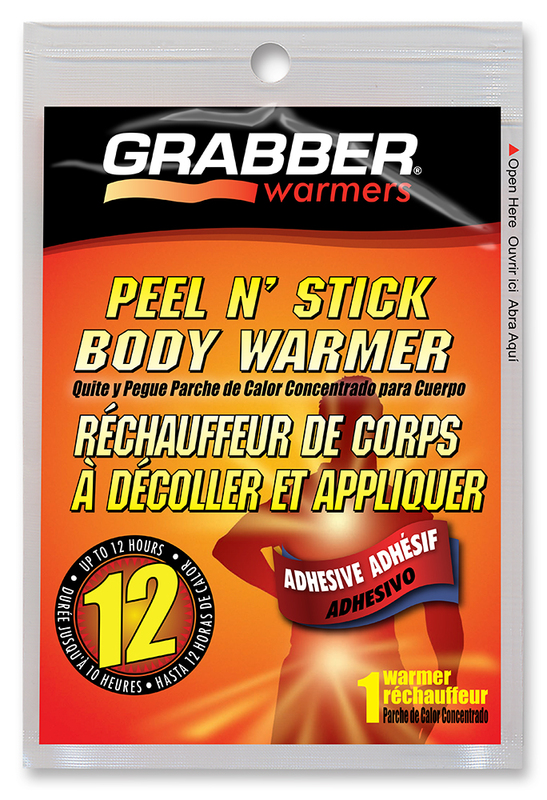 Grabber® Body Warmers are rectangular shaped single-use air-activated heat packs that contain and adhesive on one side so they stay in place where you stick them. They provide 12+ hours of continuous warmth for the body. 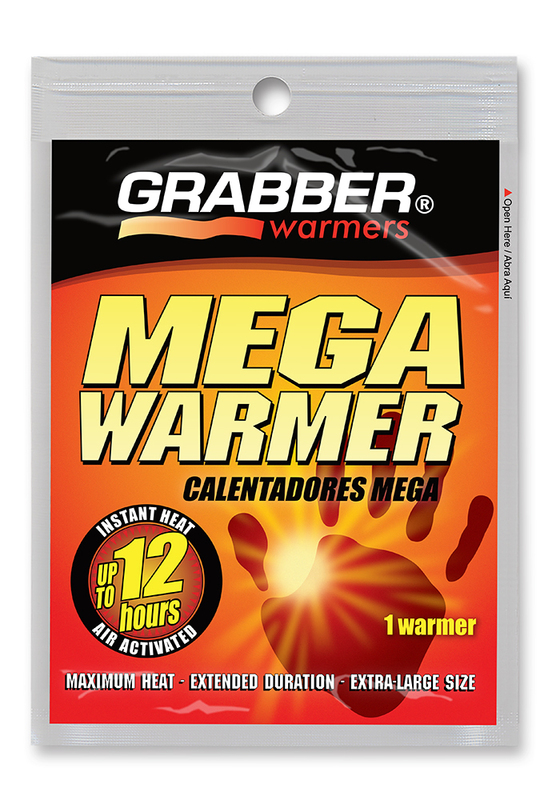 Grabber® Mega Warmers are rectangular shaped single-use air-activated heat packs that are larger and last longer than standard heat packs. They provide 12+ hours of continuous warmth for the hands and body. Mega Warmer is Larger Size and Longer Lasting! 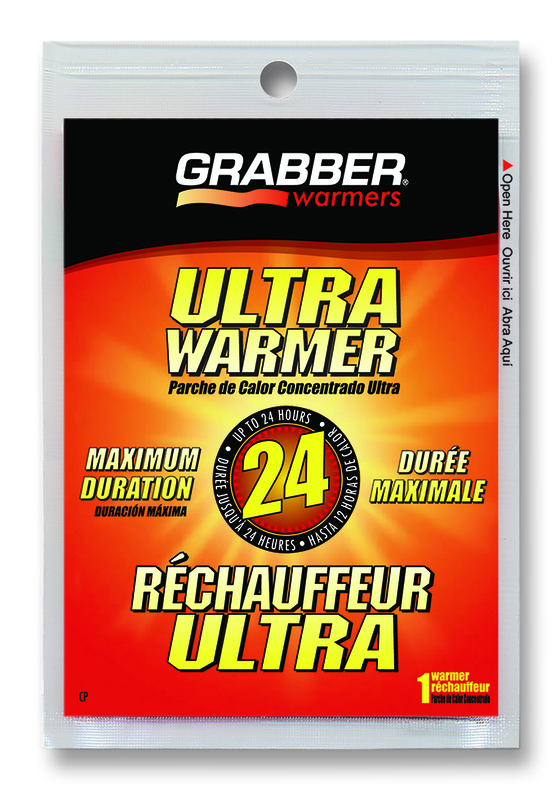 Grabber® Ultra Warmers are rectangular shaped single-use air-activated heat packs that are larger and last longer than standard heat packs. They provide 24+ hours of continuous warmth for the hands and body. Ultra Warmer is Larger Size and Longer Lasting! 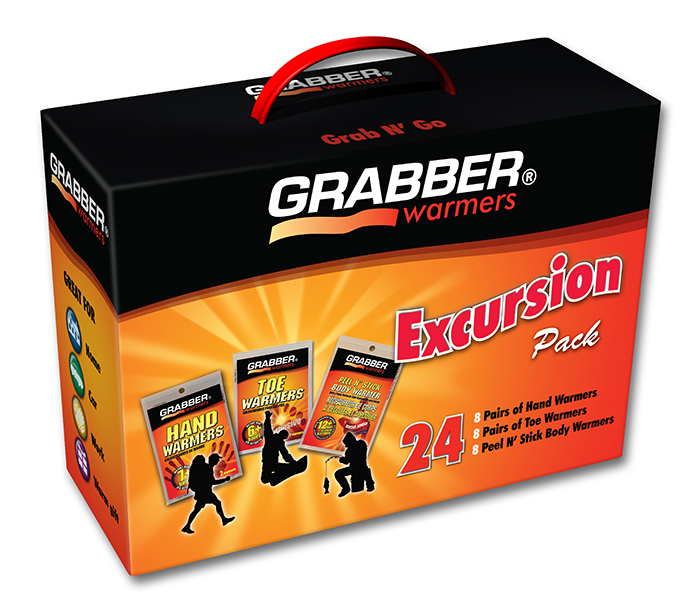 Stay warm on your next adventure with the Grabber® Excursion Pack! Each pack contains an assortment of Hand Warmers, Toe Warmers and Peel ‘N Stick Body Warmers. Great for home, car, work or give it as a warm gift. 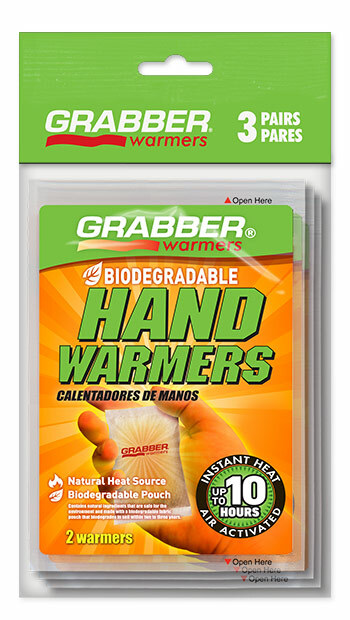 Grabber Warmers are odorless, long-lasting sources of personal heat that are environmentally friendly. When you’re done with the Excursion Pack, just fill it with more Grabber Warmers! 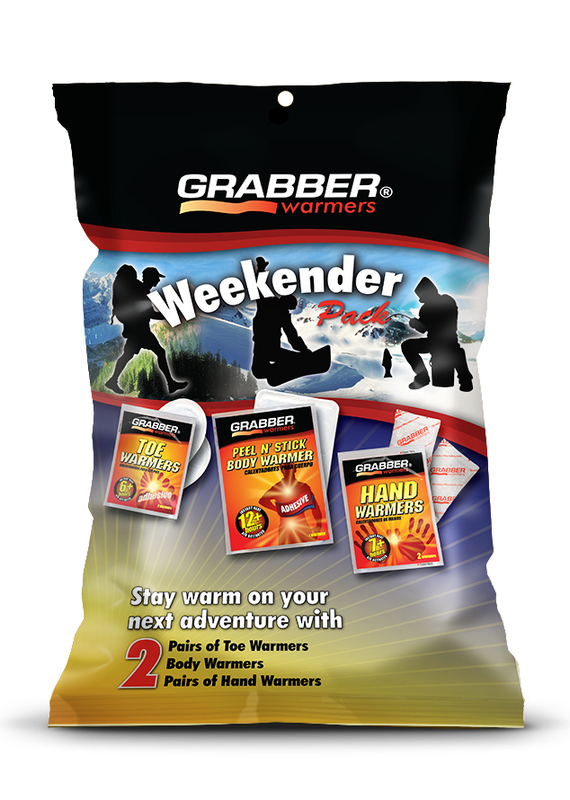 Stay warm on your next outdoor adventure with the Grabber® Weekender Packs! Each pack contains an assortment of Hand Warmers, Toe Warmers and 2 Peel ‘N Stick Body Warmers. Great for home, car, work or give it as a warm gift. Grabber Warmers are odorless, long-lasting sources of personal heat that are environmentally friendly.